Several years ago, we took a family vacation to the mountains. In the lobby of our hotel, the manager had set up a table with a large jigsaw puzzle. He worked on it during spare moments and guests were welcome to connect a piece or two as they walked by. As I watched his progress, I asked if I could look at the lid of the box so I could see what the finished puzzle would be. He said, "No, I don't use the box lid. That's cheating." Seriously? I was not aware that I had been a puzzle cheater all along! In much the same way, our days, moments and events come together to create a puzzle of a life, a life whose final result we cannot "see" as it is coming together. In fact, it sometimes seems that some pieces are missing or might have fallen under the table. Or that we may be trying to fit in a piece from a completely different puzzle! Be assured that your God knows what the picture will look like. He designed it. And wherever God has placed you, that piece of your life matters! I admit there have been many times in my own life that I wondered if my little efforts were even noticed or important. In fact, until we moved to Waco, most people could not even point on a map to the towns where we had lived. Your church may be in a well-known city or off the beaten path. You might worship to the music of a pipe organ or a harmonica or a rock band, wearing blue jeans or choir robes. Your church may have a 175-year history or be a new church plant. Your church may be struggling or booming. You yourself may be energized or on your last thread of hope. But no matter what, YOU MATTER. Every sermon your husband preaches. Every dish you take to the church potluck. Every Sunday School lesson you prepare. Every funeral you attend, hospital room you visit and trembling hand you hold. Every time you help your child with a school project, learning lines for a program or help navigate the shifting sands of childhood social life. Every note, letter and card you send. Every single day you serve at your own job, being God's light where you work. Every time you are at church, present in "your" seat. It is no small thing that the church can count on you to be present. Zechariah 4:10 tells us, "Do not despise these small things, for the Lord rejoices to see the work begin." Every day is a piece, building a life, building an influence, building a testimony. 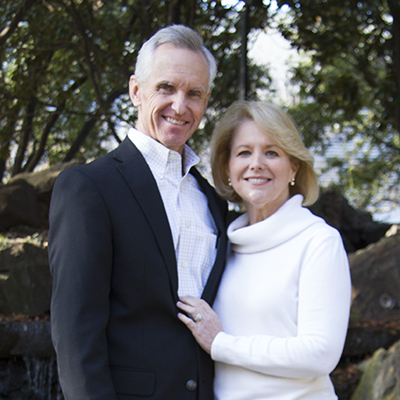 Kathleen Hardage, wife of Executive Director David Hardage, recently retired from her career as a teacher in public schools. She and David have been in the ministry since 1981, and she loves the life. Kathleen and David have two children, John and Rebekah, daughter-in-law Melissa, and granddaughter Anne Marie. They are a family of sports fans. Kathleen also loves history, reading and teaching in a weekly Bible study.